South Australian singer/songwriter Oh Deliah, with her debut EP ‘These Old Dreams’ set for release on May 18, writes sweet, melodic indie-pop with tender vocals and heart wrenching lyrics, accompanied by fuzzy electric guitar or sweet ukulele. 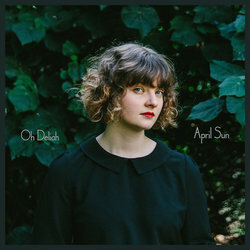 Oh Deliah, aka Becky Althorp, is a daydreamer and self-described ‘quiet old-soul’ who grew up in the Adelaide Hills listening to her parents’ vinyl collection. From the sounds of The Beatles, Crowded House, Fleetwood Mac and Simon & Garfunkel in her formative years, which transformed her teenage listening and song writing akin to Laura Marling, Cat Power, Regina Spektor and Keaton Henson. Oh Deliah, loved poetry, nature and art as much as music, but when she discovered the guitar she found herself exploring new sounds and melodies and penning her own songs. Armed with a handful of songs, she began gigging around Adelaide. Now in 2019, and with the help of funding from Carclew Youth Arts, Oh Deliah has just finished recording ‘These Old Dreams’.